The Thrustmaster T-16000M features the exclusive 3D precision technology: H.E.A.R.T. : Halleffect Accurate Technology! This ergonomic joystick has a lot of great features and is usable by right and left handed gamers! Extremely simple and quick installation, with all features preconfigured for immediate and hassle-free takeoff! 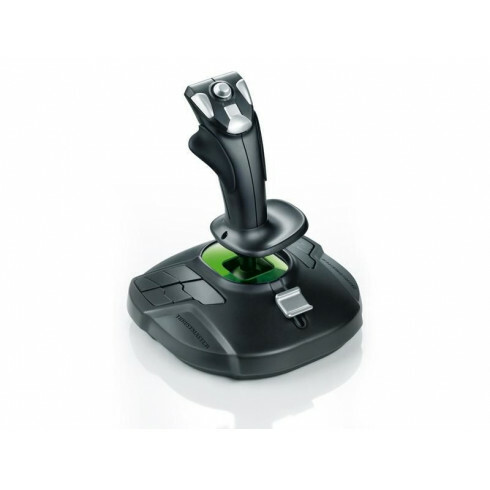 This was my first experience with play seat store.I ordered 2 of these joysticks from them as they were the cheapest including P and P. The joysticks are perfect for what I needed as they are fully ambidextrous. The grips are removable and spares ones are provided for whichever hand you need to use, rather than the stick just being moulded for either hand.There is also a switch underneath that configures the joystick to whichever hand your using.The software provided also allows you to configure the stick with your preferences and to save them for a particular game. I use both sticks simultaneously whilst playing Farming Simulator 15 to fully control the forest machinery in game. The sticks allow accurate movement of the cranes from slow and steady, to rapid placements when you get experienced. *Please note if you are purchasing these sticks for FS15 you will need to configure them with a third party program as the game isn't set up for this yet*.For my needs there is no better product out there.Play seat store were very fast at packing and dispatch with regular updates provided throughout the process. The parcel arrived in the UK two days after ordering. Next time I need something I will certainly use them again.I have no hesitation recommending both the joysticks and the store.Perfect. Thank you.